Can the CMO Also Be the CCO? Customer experience is a priority to all and one of the primary impacts of modern marketing is a heightened expectation of a personal and relevant customer experience. 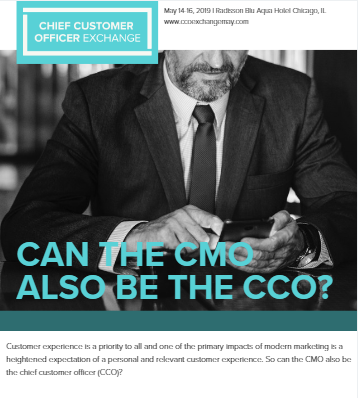 So can the CMO also be the chief customer officer (CCO)?